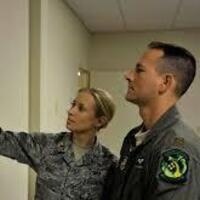 Come meet a current Faculty member of the Aerospace Studies Department and active duty Captain in the United States Air Force who will present career and internship opportunities for students interested in the field of government, defense, and intelligence. He will speak from his experience as a military Intelligence Officer and supervsor for the Air Force ROTC program at USC. All majors are invited, all students are invited! Co-hosted by the Veterans at Price student organization.